In recent years, we all have heard that shale gas is the future and it is present in far more quantities then conventional gas. So what exactly is shale gas and why it is so important to us? 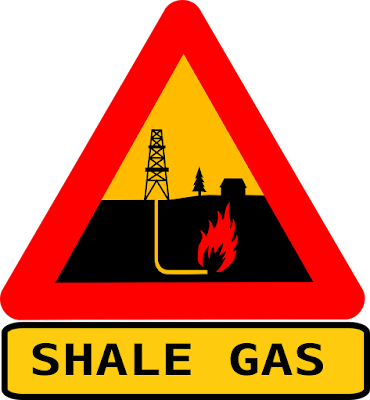 Shale gas is natural gas which is entrapped in shale. 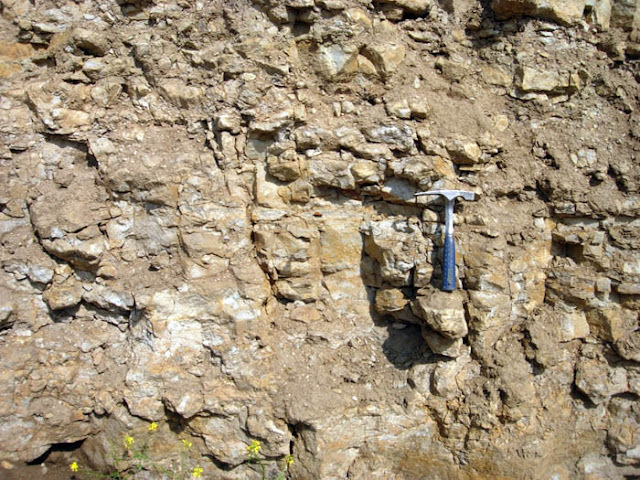 Shale is a type of sedimentary rocks mostly made of clay, quartz, calcite and silt size particles. 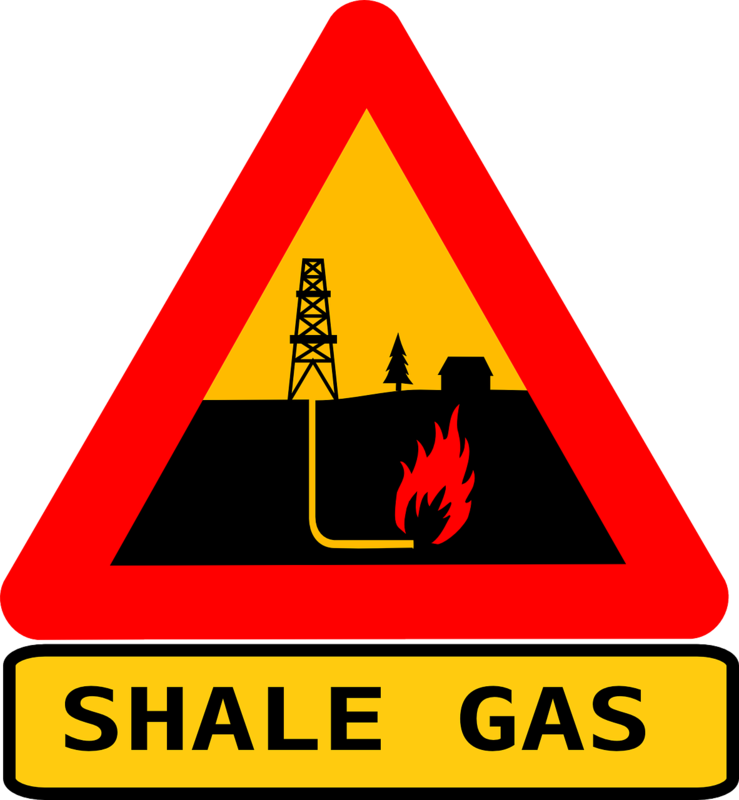 Natural gas is entrapped in pours and adsorbed on the particles of shale. Its low permeability makes it different from conventional natural gas and creates additional challenges to recover it. Due to abundant availability and low price of natural gas in 20th century, there were not many developments in field of shale gas recovery. But higher petroleum prices in start of 21st century again triggered the developments to extract shale gas. US synthetic liquid fuel program restarted in 2003 with permissions to extract oil shale and oil sands on federal lands. Soon after that China, Brazil and other countries started operations to extract shale oil and gas. With the latest research and development of new production techniques, the production of shale gas is now economically feasible and several methods of production are in practice. Especially development of horizontal drilling along with hydraulic fracturing has significantly increased the shale gas production potential. Horizontal drilling not only increases the contact between shale and well but also decreases the number of required vertical drills which ultimately decreases production costs. In hydraulic fracturing process, aqueous based fluid is entered in the well with pressure higher then fracturing pressure of sedimentary rocks. This high pressure creates additional cracks and split already present cracks. This increases the permeability of rocks and also increases the flow of gas to well. After performing the fracturing process the pumped fluid pressure is relieved and it is recovered to ground. This returned water/ solution is called “flowback”. Hydraulic fracturing process is usually performed on the start of well production but can also be carried out on later stages of well life time to improve gas extraction. Water is widely used during the drilling, well formation and gas extraction. This water is usually provided from the ground water sources or municipal water. Large consumption of water not only disturbs the water table of the region but also produces waste water which creates additional environmental concerns if not managed properly. 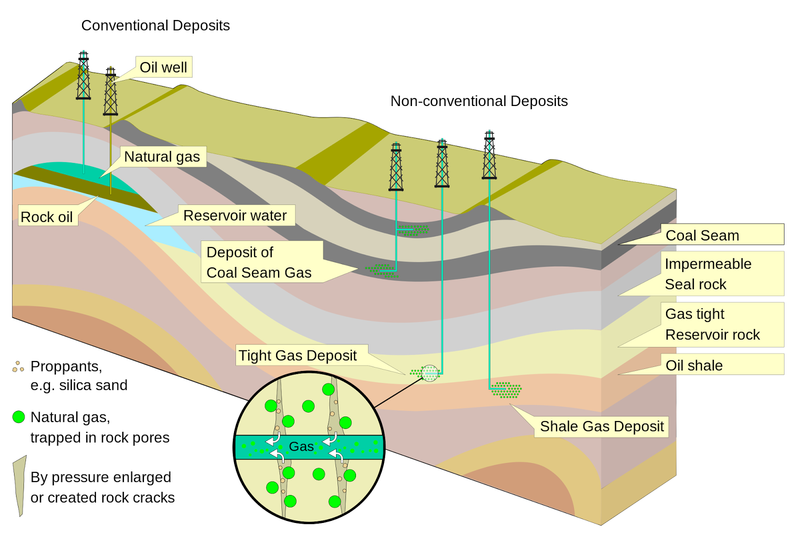 Here are some sources and types of waste water produced during shale gas production processes. During vertical and horizontal drilling of the wells, mostly aqueous based drillings fluids are used due to their cheap availability. Drilling fluids are used to maintain hydraulic pressure, remove drill cuttings and cool drill head. As shale gas production requires deeper drilling then conventional gas production, so higher quantities of drilling fluids are required. A typical drilling for production of shale gas requires 400 to 4000 m3 of water. Other then these, surfactants, PH controlling agents and biocides are also used. A typical shale formation process uses 7000 to 18,000 cubic meter of fracturing fluid and about 10 to 40% of this fluid is returned to surface in form of flowback. During gas production of shale gas, small quantities of fluids (aqueous or non-aqueous) are produced. This is known as “produced water” and this water production takes place during whole production life time of well. Data of above table is self explanatory in terms of its environmental impact. High TDS, TSS, chlorides and other salts makes it impossible to use this water for agriculture or domestic purposes. Mixing of this waste water in municipal waste and rivers creates enormous environmental concerns. Public awareness has increased regarding wastewater management and safety. Such management is also necessary for sustainable development and economical viability of shale gas production. Previous experiences of production sites and ongoing research is helping to resolve the issue. Companies are looking for new ways to reduce, reuse or dispose this water. Here are some innovative, viable and proven ways to either reuse or treat this waste water before its disposal. Conventional oil & gas industry’s wastewater management involves “underground injection”. In this method the injection of waste water in class-II underground injection control wells is carried out. These injection wells place fluids deep into porous sand or limestone soil layers. US EPA (Environmental Protection Agency, http://www3.epa.gov/) has guidelines for such operations. Due to high production of waste water in shale gas production process and limited availability of injection wells, this method cannot handle all fluids. Moreover nearby availability of injection wells is also a point of concern. A good option to manage the waste hydraulic fracturing fluids is its reuse to the wells. Reuse not only decreases the costs of wastewater management but also minimize the cost of new fluid preparation. Flow back water can be collected on the surface and analyzed for reuse. Reuse will require the addition of essential chemicals like viscosity modifiers, acids and PH controlling agents. Due to high TDS of flowback water, treatment may be required to decrease concentration of dissolved and suspended solids. 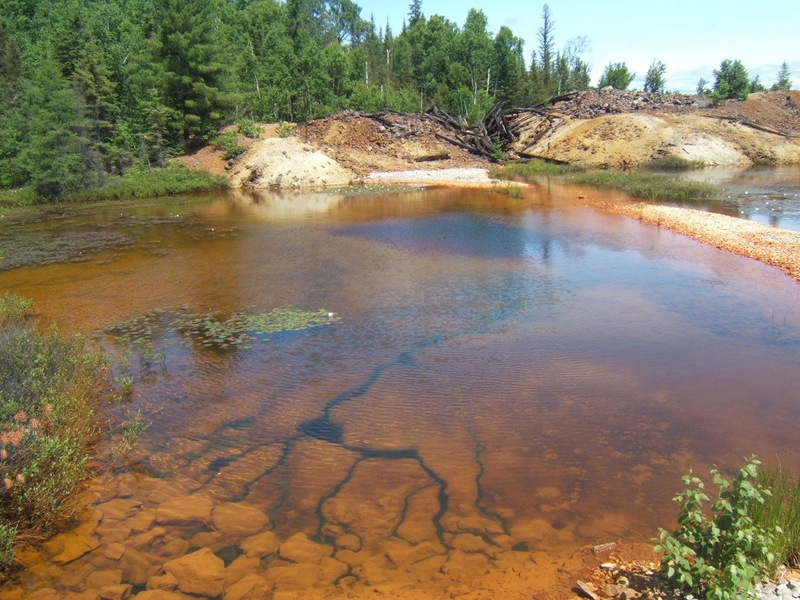 Flowback water may also contain sulfate and carbonate deposits formed due to soluble underground minerals. Reuse is mostly feasible for the regions where underground injection wells availability is limited or ground water is not available in large quantities. Distillation and crystallization are well established chemical industry processed to remove dissolved and suspended solids respectively. In distillation liquid stream is heated and lighter concentrations are vaporized to separate from heavy concentrations. Distillation can reduce up to 99.5% of dissolved solids. Due to available advance technologies, it can reduce wastewater management costs up to 75%. Distillation can treat water with 125000 mg/l TDS. It requires extensive heat energy to increase temperature of liquid and vaporize the water. High flow rates of flow back water from well during initial days of fracturing fluid recovery requires vessels with large storage capacity for later distillation. This adds up additional storage costs. A latest development of vapor recompression systems which involves preheating of fluid with compressed vapors significantly reduces distillation costs. Crystallization involves the boiling of water and it can treat waste water with up to 300,000 mg/l TDS. Reverse osmosis is another well established industrial technique to purify water. In this process, water is passed over a semi permeable membrane with high pressure and membrane pores only allow the passage of water molecules. In this way pure water is produced. This method cannot only remove dissolved and suspended solids but salt ions are also removed. RO treatment of flash back water can reduce the volume of disposal up to 20% and recovered water can be reused for other industrial purposes. However due to its membrane costs and limitations it can only treat water with 40,000 mg/l TDS. Application of VSEP (Vibratory Shear Enhanced Processing) technique to reverse osmosis increases the efficiency significantly. It involves the arrangement of membranes in parallel and shear is caused by a vibrating leaf element. It lifts fouling materials and solids from membrane surface. This method is already in use on offshore oil extraction rigs. k water can also be treated by established techniques of distillation, crystallization and reverse osmosis. All these techniques have limitations but latest developments are making them more feasible for treatment of high TDS water. Selection of such processes involves type of waste water, site situations and cost effectiveness. Let us know in comments if you know about any other methods or techniques for wastewater management in shale gas extraction. We will be happy to hear from you.